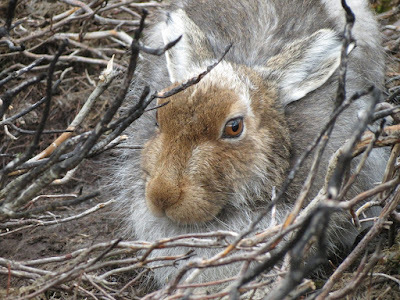 No out of season mountain hare culls have been authorised for grouse management since the WANE Act introduced a closed season to protect them during vulnerable times of the year. Animal rights activists are calling for a ban on the killing of mountain hares and are set to protest outside Holyrood next week. “In the 80s, before mechanised snow vehicles, there were 2 consecutive years where we couldn’t control the hare numbers because of heavy snow. In the spring of year 3, they died in their thousands, all over the hill, from intestinal parasites and it took 5 or 6 years for their numbers to come back again.